Why is the PlayStation Vita floundering? One reason is that people just weren't interested in developing games for it. 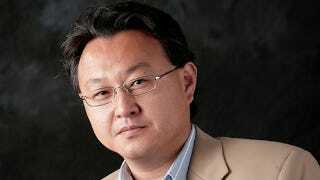 At least that's what Sony boss Shuhei Yoshida believes. "One thing that was surprising and disappointing to us was the [lower] number of third parties to come out [in support] after launch," Yoshida told Gamasutra in an interview published today. "...In retrospect, there are so many options for publishers now that we cannot take it for granted that our new platform would be supported by third parties, like [it would've been] many years ago." Also surprising and disappointing for Sony must be the fact that Nintendo snagged Monster Hunter 4 as a 3DS-exclusive. Monster Hunter was a monumental success on PSP, which is one of the reasons Sony's last handheld is still enjoying healthy sales in Japan. Yoshida's goal: get more games! "We've been working harder with our third party relations department to secure more content for PS Vita," he told Gamasutra. "...We are confident that we have the right hardware platform that we have with PS Vita."